We are keen to gather scholars wishing to show computing or statistical tools they develop to raise questions in poetics, metrics, and stylistics. Devices that did not yield the expected results, provided their shortcomings provide an interesting insight, are welcome too. possibility of symbiosis between human reader and non-human apparatus. 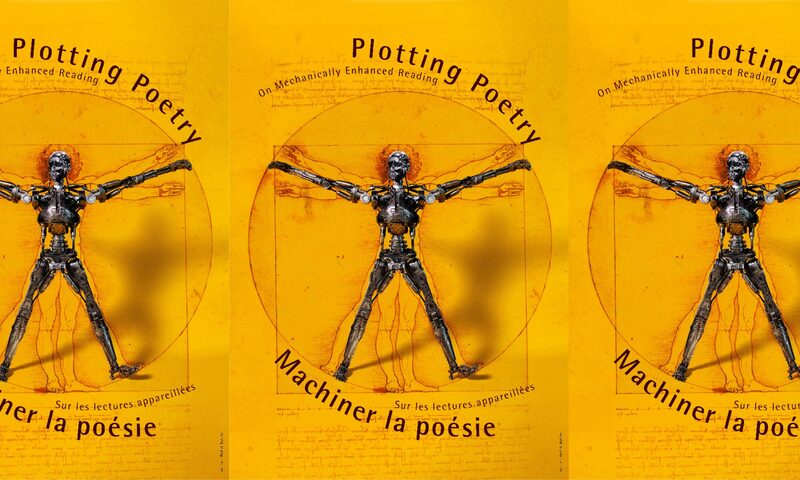 We welcome abstracts for papers about poetic texts, versified or not, or even texts outside the poetry genre provided that machines are being used to explore their poeticity. Papers of 25 minutes may bear on corpora from any time and in any language, but shall be delivered in English or French. Abstract (300 words) are to be sent no later than 1st March 2017 to: Anne-Sophie Bories (a.bories@unibas.ch), Gérald Purnelle (Gerald.Purnelle@ulg.ac.be), Hugues Marchal (hugues.marchal@unibas.ch). This international conference will be held in Basel (Switzerland) on 5-6-7 October, 2017.